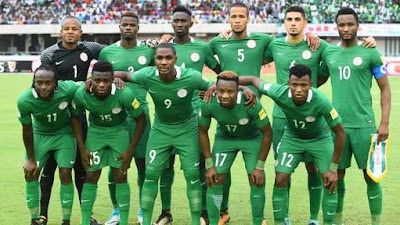 list of the Super Eagles for the summer FIFA World Cup. Some of the surprise inclusions are Kano Pillars’s Junior Lokosa and Crotone’s Simeon Nwankwo. Lokosa has been in terrific form in the Nigeria Professional Football League scoring 18 goals in 21 matches – including a brace against Katsina United on Sunday. Nwankwo got his first international call-up following his fine form in the Italian topflight where he has scored six goals in his last seven outings. Eagles coach Gernot Rohr kept faith in the quartet of Ikechukwu Ezenwa, Dele Ajiboye, Daniel Akpeyi and youngster Francis Uzoho in the goalkeeping department. Regulars such as John Obi Mikel, Victor Moses, William Troost-Ekong and defensive partner Leon Balogun also made the cut. Also in the team are Leicester City's duo of Wilfried Ndidi and Kelechi Iheanacho, Alex Iwobi, Ogenyi Onazi, Kenneth Omeruo, Ahmed Musa and China-based Odion Ighalo. FORWARDS:Odion Ighalo (Changchun Yatai) Ahmed Musa (CSKA Moscow) Victor Moses (Chelsea) Alex Iwobi (Arsenal) Kelechi Iheanacho (Leicester City) Moses Simon (Gent) Junior Lokosa (Kano Pillars) Simeon Nwankwo (Crotone).